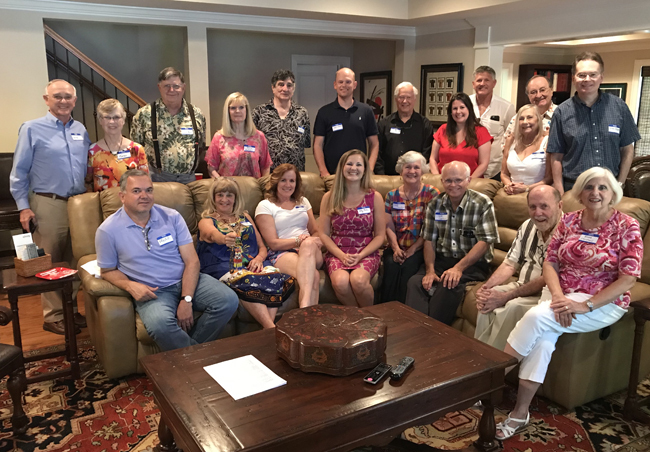 The Atlanta TCC Chapter met on Saturday, July 29, at the home of Anne and Jerry Godsey. Over 20 members were in attendance, including Charles Merkel from the St. Louis Chapter. Members shared in a cookout and told stories of their 100th country visited. The meeting also featured a presentation by Anne Godsey and Nancy Hollister on their travels to Sulawesi, Indonesia. The next meeting will be Saturday, Oct. 27. Atlanta members can expect an email with further information, or any interested members can email Chapter Coordinator Kelly Thomas at travelerscenturyatlanta@gmail.com to attend.